Watch full One Piece Season 15 Episode 18 English Dubbed full HD online. One Piece Episode 534 English Dubbed online for free in HD. The Ryugu Palace in Shock! The Kidnapping of Shirahoshi! 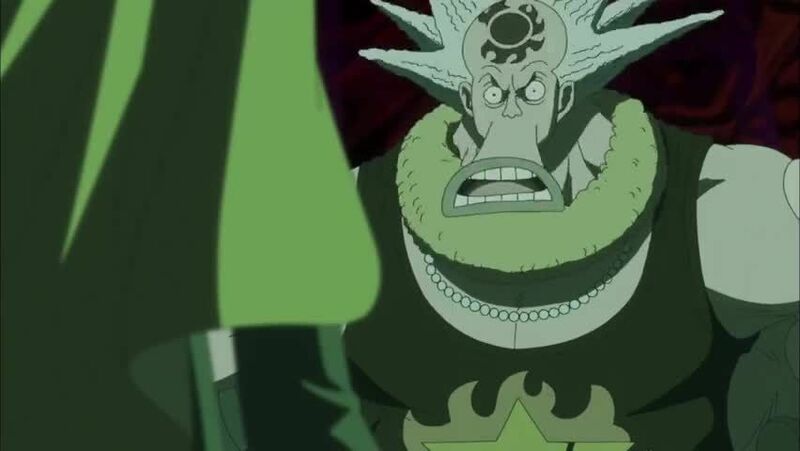 On the southeastern part of the Fishman Island, Franky and Tom’s relative Den discuss about the Thousand Sunny and discovers that ships are swept away into the tides, ending up at the Sea Forest, where the ship is possibly located. At the Ryugu Palace, Shirahoshi and Luffy flee the Hard Shell Tower for the Sea Forest. Meanwhile, on the Noah, Hachi discovers that Hordy wants to seek revenge against Luffy for destroying Arlong’s ambitions and will continue his will. Decken throws a knife through Hachi’s back. Hachi is forced to go back to the Fishman Island, but gets shot by Decken’s water arrows. Hordy rallies his troops to go into the Ryugu Palace. At Coral Hill, Sanji easily confronts and takes down the island’s soldiers, much to Chopper’s astonishment. The two discover Hachi, who informs them that Hordy will invade the palace before being rendered unconscious. Back at the Ryugu Palace, Brook and the Minister of the Right inform everyone about the invasion just as Hordy’s men confront the Straw Hats and Neptune. Meanwhile, Luffy and Shirahoshi discuss about visiting her mother Otohime’s grave in the Sea Forest. At the gravesite, Jinbei pays his respects to Otohime, saying that he never forgets her ideals. 5 / 5 - 30 ratings.